As I’ve been assisting the third and fourth-year dental students in the clinic over the past couple of years, I’ve had the opportunity of taking quite a few impressions on many different patients. I think the whole impression and plaster pouring ordeal is kind of interesting. However, many students and patients don’t seem to love it. The whole process is a bit messy. Inevitably, the patient needs help removing the impression material that got stuck on his or her face. Also, it leaves a bad taste in their mouths. Oddly enough, it doesn’t appear as though the man to the left is having the time of his life while his impression is being taken. So why do we take those dental impressions anyways? 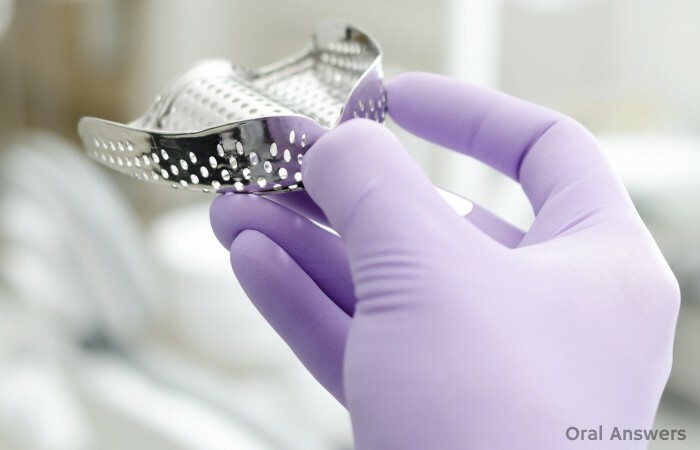 To make a conventional dental crown – the newer Cerec in-office crowns can take digital impressions, without the need for the messy impression material. To make bridges or fixed partial dentures. To analyze the relationship of your jaws. This can be useful for orthodontic treatment as well as an evaluation for oral surgery. To make a custom mouthguard for protection while playing sports or to wear at night to prevent teeth grinding. To make custom teeth whitening trays. To make oral appliances such as space maintainers. To know how your teeth look in case you chip or damage one or more so that they can be properly restored to their ideal shape and size. 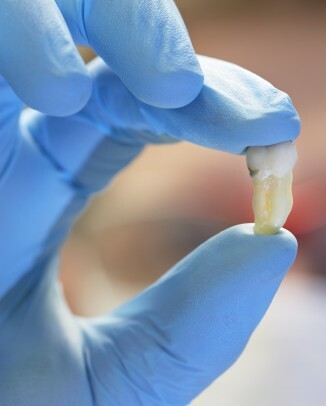 When the dentist takes a good impression, it is easy to visualize the crown and bridgework that will go into the mouth to make sure everything will fit perfectly. These are just a few of the reasons that I could think of. There may be many more. If your dentist wants to take an impression of your teeth, then he or she likely has a good reason. It is always a good idea to communicate with your dentist to find out the reasons behind their actions, whether they include taking dental impressions or not. If you have an experience with a dental impression that you’d like to share, or if you have any questions or comments, please leave them below in the comments section. How painful are dental impressions and what is the step by step process? 1 – We try an empty tray in your mouth to make sure it is the right size. 2 – We fill the tray with the impression material. 3 – We insert the tray in and have you close your lips around it so the material goes up around your teeth where we need it to go. 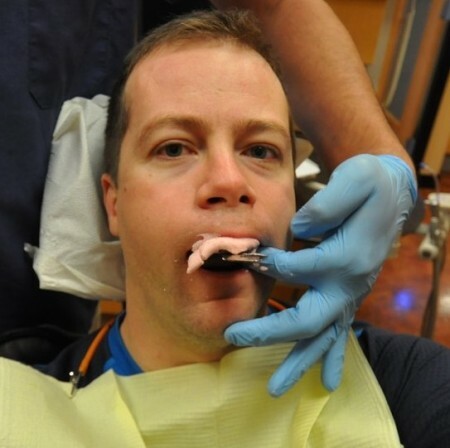 4 – We wait for it to set up, and then remove the impression tray from your mouth. Hi thanks for that. My friend has had impressions and he said it was really painful. Why would that be? Also will it make me sick because of my gag reflexes? Hi Chris – The pain may be from a tray that doesn’t fit properly. It’s a good idea to have your dentist try the tray in your mouth first without any impression material to make sure that it’s not pushing up against the gums/lips/cheek. I’m guessing the reason that it hurt was because part of the hard tray was pressing into something that it shouldn’t have. It can be challenging to take impressions on people with gag reflexes. I think the worst case scenario would be that you would have to remove the impression tray before it had completely set up. If that’s the case, have the dentist/dental assistant try putting in less impression material the next time around. I hope that helps – Let me know if you have any other questions. Hi me again! I am going for impressions on Wednesday but my gag reflexes are really bad! I have had impressions once before and I had to be held dOwn for them as I took it out before it harder and didn’t want to have it done again! Is there anything I can do to help Or anything another dentist could do? Hi Chris – We generally recommend breathing through the nose. We also have some anesthetic spray that we can use. 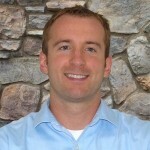 This page on Dental Fear Central offers a lot of tips on how to reduce gagging. I hope that helps, Dee – Thanks for your comment! Let me know if you have any other questions. I’ve had four different impressions done the last one was left in too long my dentist had trouble pulling it out when she did manage to get it out it came out with my 2 back teeth crowns. When I went in for my wax bite fitting where the teeth and positioning were revealed to me I was delighted, the teeth were perfect. natural looking ceramic/enamel just as you would imagine teeth to be. I even took a photo of them in. 2 weeks later I was called in to fit the finished denture and take home. To my horror on the reveal the teeth had been swapped. The teeth on the denture are somewhat similar to a cheap NHS plastic teeth, the positioning was totally different the size and shape were totally different. I took another photo to compare and its clear in the photos they are different teeth. I confronted the technician and she completely stood her ground and said they were not swapped. I noticed on my patient statement there is a quantity of 2 teeth and 1 acrylic. I asked for natural looking teeth and I end up with something that I wouldn’t even pay £100. for. I am thinking the original ones were made then either broken or lost in transit and another set were made on the quick with cheaper material. What do you think. what should I do. I was forced to pay for them by my dentist I part paid as I am not happy with them I refused to pay the full amount. I have since been told by friends that I shouldn’t have paid anything. but they closed ranks so I had to. I wonder if something like that is what happened to my mom. Damn insurace. I figured since people have gotten dentures for years it must be a pretty simple process or at least a solid one right? But i guess it all depends on inaurance because the dentist who is working or has on my mom and the process for getting dentures is not his preferred method of how to do it but its not even up to him. Im like WTF? He says she has to wait until march of next year to do what they call a realignment. Hey Luke – The most common stuff we use for impressions is called Alginate. Here’s some more info about it on Wikipedia. It is definitely a scary situation, or at least it was for me. Yesterday I went to have impressions both upper and lower. He started with the top. They were stuck, after janking and janking forever it seemed and nothing he ended up having to give me anesthetic shots (4 or 5) and it felt like my remaining teeth were going to be janked out with the impression. The worst part of all this is that I have to do the bottom in 10 days and now I’m petrified, but have to go cause I can’t leave this as they are. Is this what cave men used?? or maybe Chinese torture. Today I feel as I have just lost a heavyweight match or been in a wreck and I have whiplash. Any suggestions? and don’t tell me to breathe through my nose doesn’t work!! and she said that it just hardens… But i was wondering, when they take it off does rip out your teeth? Yes this can happen, it happened to me. On my last impression taken for my upper denture my dentist ripped out my back crown. I had the same thing happen. You have the right to be scared. They can damage your crowns and then you end up paying more to replace them. scared than get any shots!!!! I am hyperventilating, not kidding!!! My dentist prepped my tooth and forgot to make a tooth impression first. Will this pose a problem with my bite? I,m having trouble with one of my lower teeth and I think the dentist will need to do an impression ,My worry is that the impression may pull the bridge out ,this will be my second impression that I have had over the years ,I have had the bridge in since 2008 ,,what would the dentist do if my bridge came out ? i went to the dentist and had my impressions done and i still have like 10 teeth in my mouth and when he did them ity felt like my teeth were coming out with it.i didnt know they could do impressions with teeth still in your mouth isnt that gonna be a problem and make them not fit right. I had a dental impression done last week for lower left for a 3 unit bridge. The material seemed to harden or stick to my lower jaw so much that dentist pulled so hard and out came my 4 unit lower rt.bridge. It was just completed 6 mths ago. the bridge was on 3 root canaled teeth and dentist told me the tooth roots came out with it. She reapplied bridge with some material acting as a splint to keep it in place My face was swollen & discolored. She said it will take about 6 weeks to see if root reattaches itself. have you ever heard of this happening? Or should I opt for implants? Hiya everyone wanted to know if someone could please give me an answer I’ve had impression done fory denture upper mouth my dentist is leaving my two front teeth in! They are abit yellow & my bottoms will my denture be yellow?? Or will he whiten my other teeth I’m so scared 🙁 please help. I had impressions taken just not sure what it was for asked the hygienist she said she didn’t know. But the impressions weren’t bad the bottoms hurt some only because I have sentive teeth. After she had me bite down on a flat sheet of something like wax to do another impression. I didn’t get a chance to ask the dentist any questions after that he worked on one of my teeth. Then I went home. How many impressions does a dds need, seems like i’m getting one every other year or so and i’m in my 50’s now, its not lioke my mouyh and teeth are going to change much from here on out? I need a crown, and I just got the temp. However, it’s very badly shaped. The tooth before getting crown was missing a whole wall and edge (the one facing the tongue) and instead of repairing it and then making an impression, the dentist decided to do the crown just like that. With the missing tooth wall/edge. Is that what dentists normally do? Do you think I should go back to her and ask her to fix it, or would she charge me for a new crown seeing as she probably already sent the order to the lab? Hi, I went for my second orthodontic appointment today. I was told that I have to extract two of my upper teeth before putting on braces two weeks after my teeth extraction. My question is, my orthodontist did not take my dental impression. Only photographs. Is this normal? Thank you. I’ve had numerous impressions, the last one was to have dentures made. For those who deal with ‘gag reflex’ try the trick that worked for me. A few days/week before you’re going for your impressions and/or dentures, ‘desensitize’ that area by pressing down lightly the back of the tongue a few times a day. Trust me, it actually does work! As far as the ‘goo’ sticking on & pulling out your teeth – insist on the dentist coating your natural teeth ahead of time. (its almost like a Vaseline which will allow the impression to slip off without yanking). Again, it made all the difference and honestly, one day at a time really helped. I am having impressions for a new top denture but unlike previously, this Dental Clinician has not used the trays; she just put the material in my mouth directly?? Surely this will not give an accurate impression? I had impressions done 2 days ago and can’t get the taste out of my mouth no matter how many times I brush my teeth or what I use to rinse. Help! I can’t open my mouth wide enough to get an impression. Can I be put to sleep to get it. I am afraid that I will be left toothless because the dentist can’t get an impression. If you are not happy with any part of your dental procedures then seek out a 2nd or 3rd opinion. Impressions should not cause any pain, discomfort or disrupt previous dental work if you have the right dentist. I was also petrified to get impressions and I had absolutely zero issues, other than the material making a mess, and which the hygienist cleaned up after. Your paying for the work to be done so you should be happy with the results and the dentist. I just saw a new dentist today. He told me 30% of his diagnostics require him to have a mold of my teeth. He mentioned how it was important to have so he can study my bite. No other reason. I am healthy, not needing anything other than a regular cleaning and regular x-rays done. My jaw/bite is fine. He can see the way I bite visually so now I am feeling dumb as to why I went through with this. Did he scam me? I t cost me $80 because insurance doesn’t cover it. tooth wasn’t taken. When I asked the dentist he said something about “matching the other side”. unwearable after the implant …. more inconvenience, more expense. Please help. Many thanks. coming through. Searched all over but can’t find ‘unsubscribe’. Thanks. 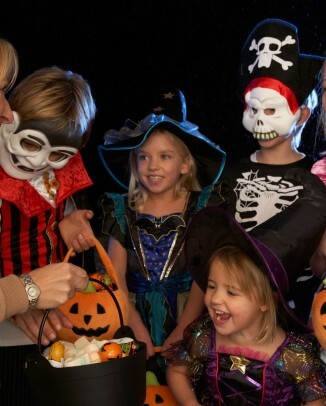 Do you have to be a dentist to take an alignate impression or can anyone do it? Is there a law against taking impressions? In this day and age, surely dentistry has developed a more humane way of taking impressions? Scan photography etc.??? When you have a fixed brace I can’t see any worthwhile reason to have to have plaster mold impressions. The whole impression and gagging thing is the dread of orthodontic treatments. Also, I have witnessed several diffierent dentists do impressions and they have all differed. The patient needs to be sat very upright – but most dentists don’t bother, the solution can be mixed warm to set quicker – again only one senior orthodontist did this. Some rush both top and bottom molds together and end up with the child vomitting – the whole thing is well outdated – pre-historic really. Come on England – move on! About 3 months before I had all my teeth extracted an impression was made of my teeth. The Dentist had a full denture made. Why would this procedure be done? The Oral Surgeon who extracted my teeth would prefer that an impression of my gums be made. Therefore, my correct dentures would be made. I am due back to the original dentist and will ask him to follow my Oral Surgeon’s request. I can’t agree more! Sometimes, after the impression gel has solidified, it doesn’t seem like it will come out of my mouth and for a fleeting second I am worried that it won’t. Then, when it does start to come, I’m worried it will take something with it that it’s not supposed to, like my braces. Thanks for this interesting article! Thanks for creating this forum. It really helps people feel more at ease. I had dental impressions 11 months ago for a 1 tooth flipper and the dentist said I have to have hem again because I never got the tooth pulled. I am a FT plus on call vascular technologist and didn’t have the time to take off due to understaffing (as anywhere else). Well, I called yesterday and told him to please just used them because now the tooth I need pullde has abcessed and I will NOT get it pulled until the flipper is made and he said they are no longer good because my teeth may have shifted. Well, my night guard didn’t change so why would the impressions? It was so painful the 1st time because I have extremely sensitive teeth and it was ice cold. I refuse to do it again. Any suggestions? Can anyone help. On Dec 2 getting all my teeth removed. Am playing wht waiting game for Dentures how my insh works. Right now i have lots of broken off teeth or just most are rotted or over lapping i dont think my bite now is good. because my mouth is a mess with bad teeth. My ? is can they do impressions of your mouth with out any teeth. I want to have perfect set of choppers not how i look now. If so how many weeks do i have to wait before the impressions #1, and how many steps do i have to take before i get new choppers well mite say how many months do i have to wait. I have a friend taking me to get all teeth removed now how meany days do i have to have this person be with me. as id am off work the 2nd threw the threw the 6 go back to work on the 7 day. still mite be in pain and wont be able to talk good. But i have to work. What’s the general idea of why do dentists take dental impressions on every patient? I went to the orthodontist and they only did my top impression not bottom why is that ? I went to the dentist for a routine cleaning and oral exam. A hygienist performed both these services, not very thoroughly, and then took impressions. I assumed this was a standard procedure, part of the exam – this was my first visit to this office. My insurance covered the cleaning and exam but not the impressions, for which they charged me 56$. I asked why the impressions had been taken at all. 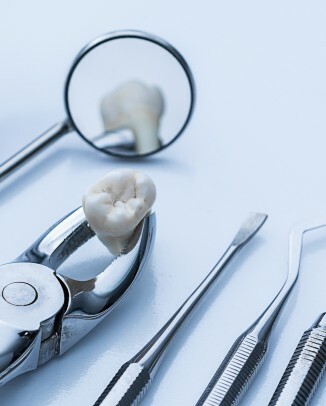 The hygienist gave a generalized and vague answer, saying they need to see the whole picture (there was no procedure being planned or even considered – like the ones you list in this article). It’s clear to me the hygienist should have asked my permission before taking the impressions. What is your take on all this, Tom? Thanks. My dentist did not take impressions of my teeth before pulling them all what can I do about it. It strikes me as a sort of a scam to generate more revenue per customer. Let’s face it if you are over 40 years old your teeth have just about stopped changing, so if you’re not planning on getting work done on your teeth or there’s no recommendation for work to be done(crowns, braces, bridges, fillings whatever)then you DON’T NEED and impression. Especially if you’ve already taken one in the past. 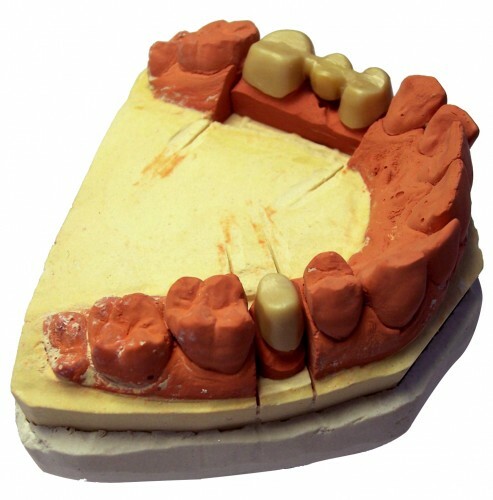 How long do dentist usually keep the patients moulds for? Yes I would also like to know how long dental told impressions last at the dental office? I’d rather not have to make a mould each time I wish to order a replacment retainer. I had my dental impressions done this morning and I am going to have to go back next Friday for my final impressions. I can’t wait to get my dentures Cause I have been without teeth for 5 months. I need to have a new partial upper denture made to replace an old one. My concern is that when the Dentist makes an upper mold there is a possibility that my three crowns will come loose. How do you handle this type of situation?